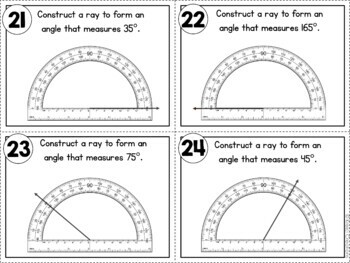 Do your students need practice with measuring and constructing angles? 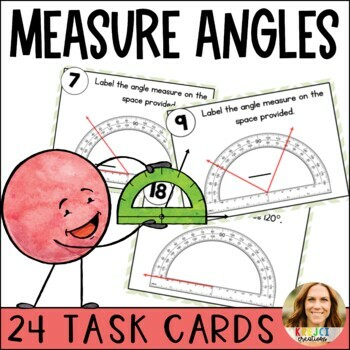 In this activity, students will measure and construct angles of different sizes in a variety of ways. 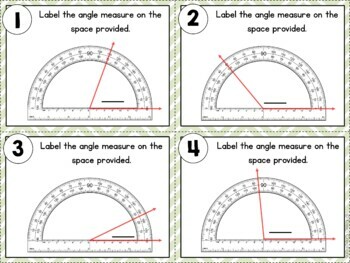 Some angles are lined up with the zero degree mark, and some are not. This is meant to reinforce the true meaning behind the concept of an angle. For best use, print on card stock and laminate. 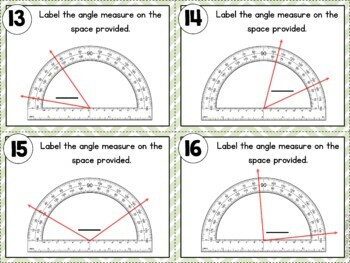 Provide students with a straight edge to help them measure with precision. A recording sheet and answer key are provided. Be sure to leave feedback to earn points towards future purchases!